Getting ready for your next tradeshow is fun and challenging. If your company rarely does trade shows, here are some tips for ensuring your success at your next show. 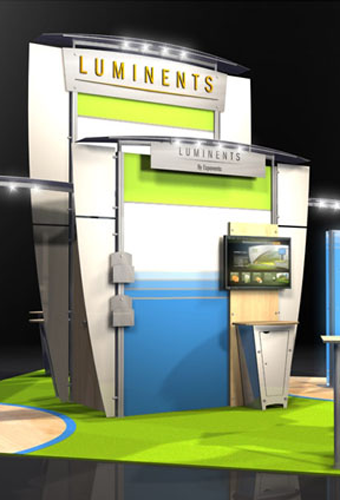 Instead of spending the money to buy a booth, consider a trade show booth rental. Most rentals are modular and can be put together to suit the space you’ve rented and your needs for any particular trade show. You can customize the booth with your own graphics and messaging. You can also rent lighting, counters, shelving, display mounts, and other pieces of equipment to make your booth look exciting. If you’re not planning to have a big presence at a trade show, consider using a portable exhibit. Portables can sit on a table top along with a way to collect leads; it may be all you need to get the job done. Hand carried portables may allow you to avoid drayage fees. Drayage fees can quickly add up to a major expense. It’s usually a minimum of $100 for 100lbs, and there is usually a 200lb minimum. Additional fees can add up if you ship things in separately. So be sure to carry in literature or other smaller items that your marketing department may have forgotten. You definitely don’t want to pay another $200 to bring in one small box of brochures. For reasons partly related to drayage, consider using lighter weight materials. Aside from reducing drayage costs, your staff should be able to easily setup the booth themselves if there aren’t giant heavy pieces that need to be setup or moved around. In tougher economic times, more tradeshow managers may be willing to negotiate and cut exhibitors deals in order to fill up booth space. Large shows may not have any wiggle room and prices may be fixed. But if you’re willing to wait until it’s closer to the last minute—and if there’s still room—you may be able to reduce your bill by many hundreds of dollars. 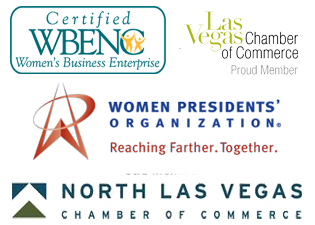 For the best service and advice, go to the nation’s tradeshow capital—an experienced Las Vegas trade show exhibitor and designer. 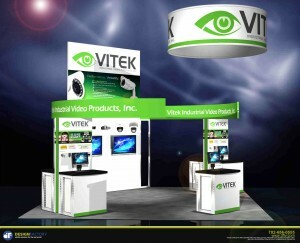 Find a trade show booth rental to fit your budget now. Getting ready for your next tradeshow is fun and challenging. Finding a trade show booth rental that fits your budget doesn’t have to be tedious when you know the ins and outs. If your company rarely does trade shows, here are some tips for ensuring your success at your next show. In tougher economic times, more tradeshow managers may be willing to negotiate and cut exhibitors deals in order to fill up booth space. Large shows may not have any wiggle room and prices may be fixed. But if you’re willing to wait until it’s closer to the last minute—and if there’s still room—you may be able to reduce your bill by many hundreds of dollars. For the best service and advice, go to the nation’s tradeshow capital—an experienced Las Vegas trade show exhibitor and designer. Find a trade show booth rental to fit your budget now. Some attendees are ready to make purchases at the show and others will collect information and make their purchases at a later date. Provide your potential customers with a comfortable atmosphere in which to shop or look over the material being offered. Trade show booths may be small compared to your showroom but it should still give the same feeling as if they are in your place of business. Try to wow them in the same ways but be quicker with your pitch. With so much competition surrounding you, getting your message across quickly is crucial. Thanks John. You are so right. The WOW factor plays a major part in getting them inside your tradeshow booth and comfort and uniqueness keeps them there.